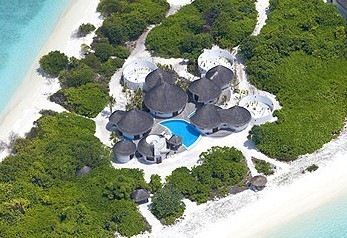 The Maldives are all about being close to the ocean. In the tiny islands, the waterside is never more than a few yards away. The water bungalows put you right over the water. 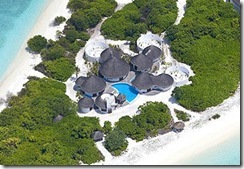 But the ultimate water bungalow, if you will, are Dhoni Mighili’s floating ‘villas’. 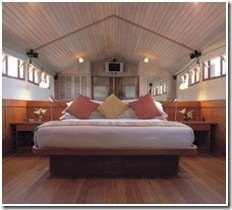 Luxurious accommodation fashioned into the a traditionally styled Maldivian dhoni boat. Dhoni Mighili is also highlighted in Time magazines ‘Best of Asia’ feature winning the ‘Best Place to Blow Serious Cash’ badge.